A receiver is mounted to something stationary and position data is recorded, one point per second, for 24 hours. The resulting data is processed and plotted to determine how much position drift the receiver thinks it saw. 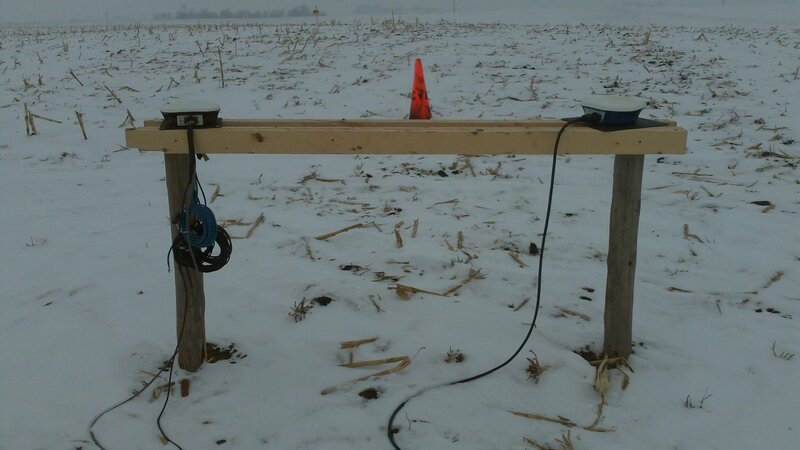 - All RTK tests are processed with a correction data age limit of 10 seconds. Points with older correction data are discarded. - If you want to do your own data analysis, the NMEA GGA data files are available for download at the bottom of each page. 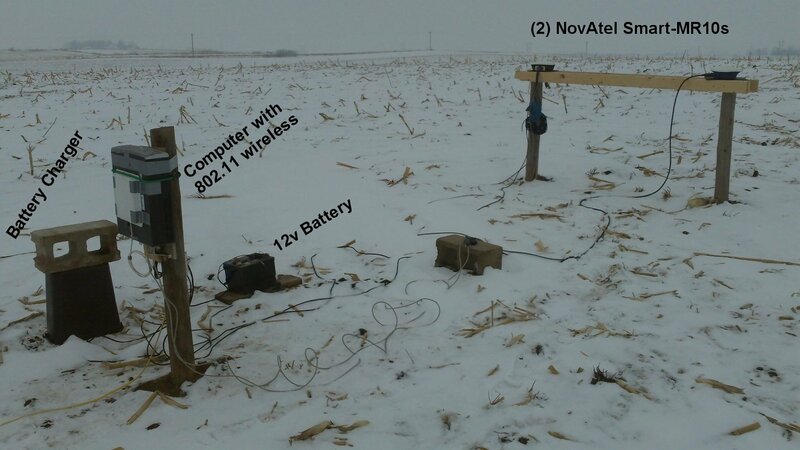 Details: A NovAtel Smart6-L was used for this test. Firmware version 6.510 was used for testing TS-D and version 6.600 was used for testing TS-C. Static accuracy, both over the entire 24 hours and in 15 minute increments appear to be very similar for TS-D and TS-C. TS-C is advertised to have much faster re-convergence in the event of a short term signal loss, which was not tested in this test. There was a substantial amount of geo-magnetic activity during the first TS-C data capture, but it doesn't seem to have affected the performance. Ground conditions: disked corn stalks (rough dirt) with snow cover. Sky visibility: 255 meters above sea level, highest point within 1/4 mile, nearest building/trees was ~400 feet away and was less than 5 degrees above the horizon. Autonomous, WAAS, GLIDE: Those of us in North America usually use WAAS for the tillage and other operations where free is good. However, there are parts of the world (think South America) where there isn’t a free DGPS/SBAS correction signal. For those places, the engineers at NovAtel have developed something they call GL1DE to reduce the pass-to-pass position drift when running autonomously. Think of it as a smoothing algorithm, although there is a lot more to it than that. What I found was that a receiver running autonomously with GL1DE has a similar level of accuracy to a receiver running on WAAS without GL1DE. However, if you turn on both WAAS and GL1DE, the pass-to-pass drift is approximately half of what you would see on just WAAS. In other words, if you are using a NovAtel receiver on WAAS, turn on GLIDE too. 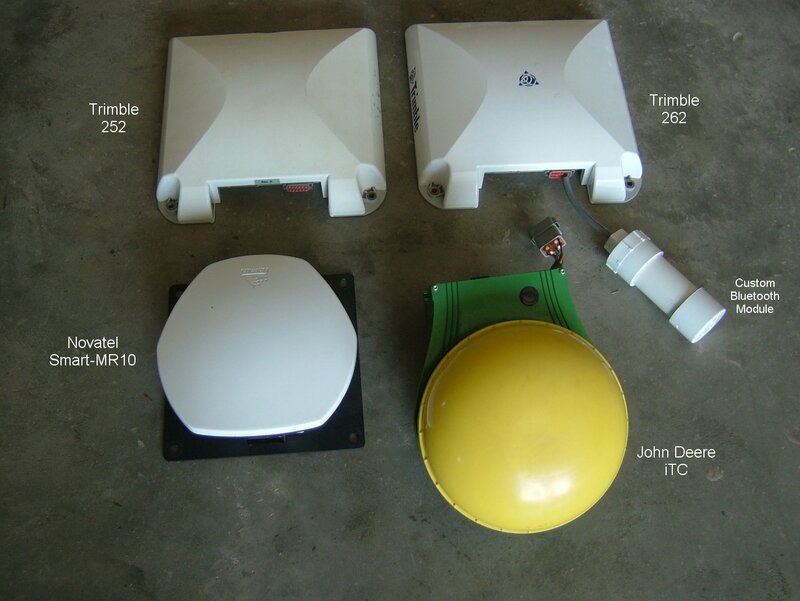 OmniStar XP and XP G2: OmniStar XP and HP have been around a while and are GPS only signals. OmniStar now offers a GPS+GLONASS signal called XP G2 (I’ll just call it G2 to avoid some confusion). The price is the same as XP. G2 does have a bit better long term accuracy (I'm talking 24 hour blocks) than XP. G2 does not show any improvement in pass-to-pass accuracy over XP. The main attraction to G2 is that adding GLONASS to the system increases the number of satellites available, which will help when working in areas where trees or building block some satellites from view. A receiver on XP will track 6 to 12 sats, with the average at 9.24. A receiver on G2 will track 11 to 21 sats, with the average at 15.5. Convergence time is the one thing that people seem to dislike about a receiver running on OmniStar. The length of time is related to the number of visible satellites. Thus a receiver will converge faster when there are 12 satellites visible than when there are only 6 visible. Following that pattern, G2 converges faster than XP because of the additional satellite visibility. It doesn’t eliminate the convergence time, but it is about 30% faster than XP. -MAX (network modeled correction where the data from several bases goes to the rover, and the rover does the math). First of all, the IMAX solution is useless. Don’t use it, ever. Not only is the accuracy worse than using a single base station, it also reduces the number of usable satellites. On a receiver that only uses the GPS satellites, this can be a big problem during parts of the day when there are only 6 GPS sats above the horizon. 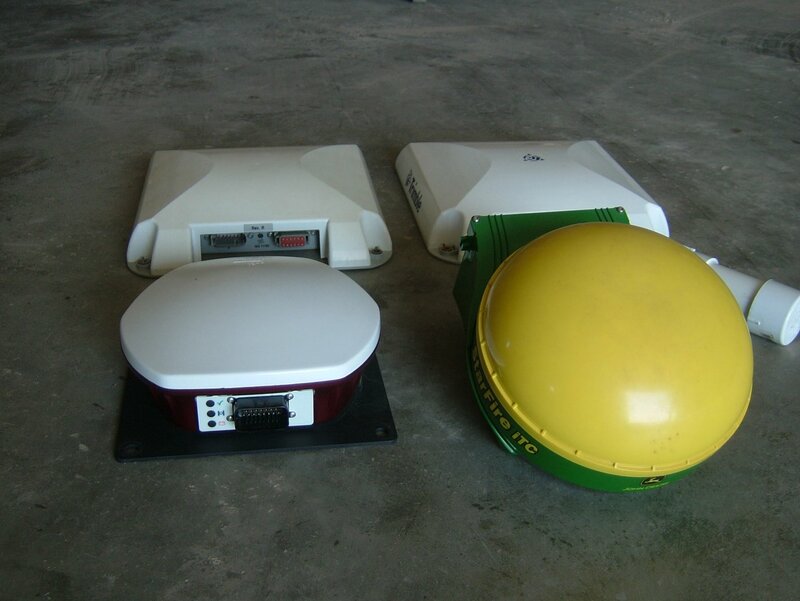 If two of them are unusable because they aren’t high enough to be seen by all the base stations, then you will drop below the minimum threshold and lose your RTK fix. MAX does produce slightly better accuracy than the nearest single base station, but it isn’t huge. 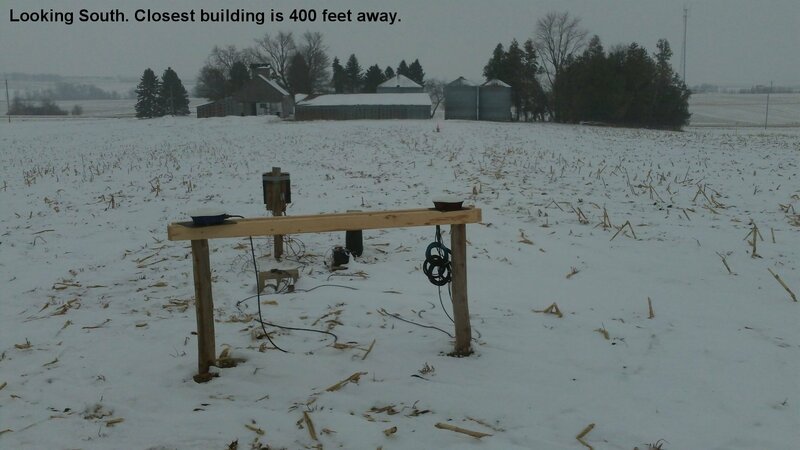 A base station in the same field will still produce better results than a MAX network correction with a 10 mile base line. Long baselines: I tried pulling correction data from a base on the IA RTN that was 58 miles away. The receiver went to DGPS, but wouldn’t get to RTK. Using a different base at 40 miles, I was able to get RTK fix. The accuracy of a base at 39 miles is similar to that of running on OmniStar XP. How stable is GPS+Glonass RTK with a very short baseline? Longer baseline distance on GPS only - Friend's base at 31.9 miles vs. IA DOT RTN at 9.26 miles. Longer baseline distance - IA DOT RTN (Tama) at 39.08 miles vs. IA DOT RTN (Newhall) at 9.26 miles. Note: I tried pulling data from a base 58 miles away. The receiver went to DGPS, but couldn't get to RTK. After 30+ minutes, I switched to a closer base. Ground Conditions: Chisel plowed corn stalks (rough dirt) with snow cover for the early tests. Sky Visibility: 255 Meters above sea level, highest point within 1/4 mile, nearest building was ~200 feet away and was less than 5 degrees above the horizon. John Deere SF1 and SF2 look extremely similar in the horizontal axis, however, they do have slightly different characteristics in the vertical axis, with SF2 being more stable. The vertical data is mostly irrelevant because the people who do care about elevation data are going to be on RTK anyway. I noticed that two of the data captures from the Deere receivers that had bad data - those events occurred on Friday nights. Not sure if that is a maintenance thing or just coincidence. The IA DOT RTN has an IMAX network correction option which is supposed to improve accuracy at long baselines. I saw better data from single base station 11.2 miles away than I did from the network correction. Plus, the IMAX solution reduces your available satellites by an average of 1.3-2.0, which can cause you to drop RTK fix during some parts of the day. The above data doesn't show this, but I played with the IA RTN using fake position data from various distances away. This allowed me to get correction data for a different location. Using a 100 mile baseline, the receiver wouldn't go to RTK. Same for 60 miles. (I only waited a few minutes.) With a 30 mile baseline, it did go to RTK, but it took over 2 minutes to get there after the correction data stream started. With a close baseline, that is usually 5-15 seconds. Using that 30 mile baseline, the elevation data looked very good when I watched it. Upon disconnecting the correction data stream, the reported elevation had changed noticeably within 20 seconds to 5cm off. With correction data 59 seconds old, the elevation was 13cm off. In other words, correction data goes stale much quicker than I had thought it would. The Trimble 262 will hold RTK for 40 seconds after the correction data quits coming in, and the Novatel will hold it for 60, but that doesn't mean the data will be good enough for what you are doing, if you require the best accuracy possible. On WAAS and OmniStar XP, the Trimble 252 consistently outperformed the newer 262. The Trimble receivers on OmniStar XP and the John Deere receiver on SF2 were nearly the same over 15 minutes (pass to pass accuracy). 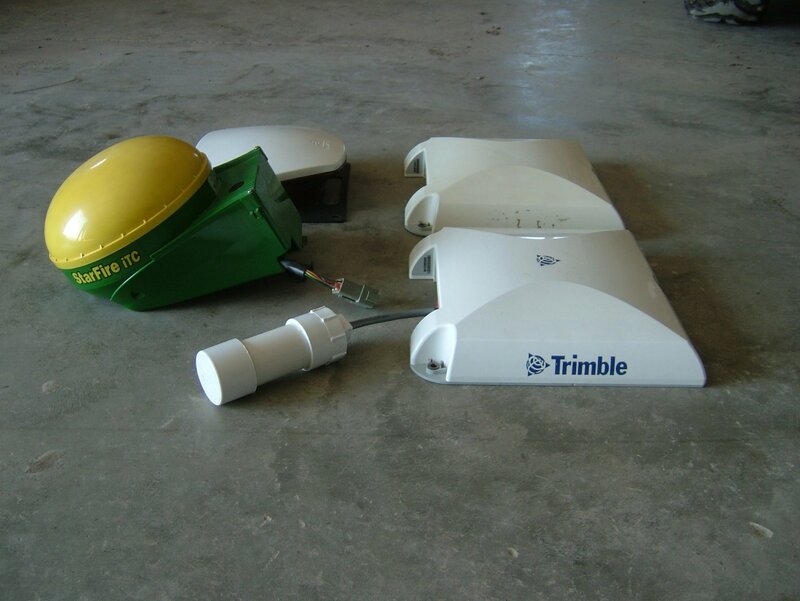 However, over 24 hours, the Trimble receivers are more stable.